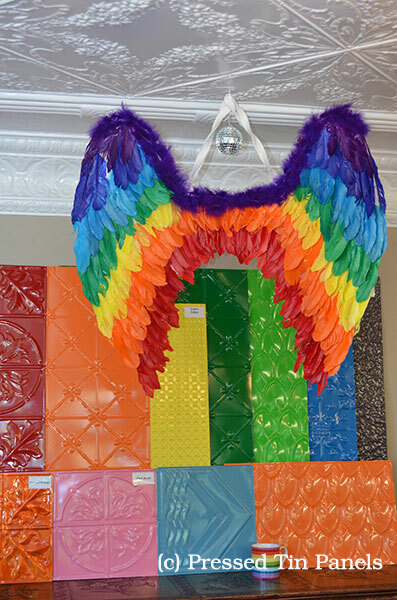 Pressed Tin Panels proudly supports diversity in the workplace! 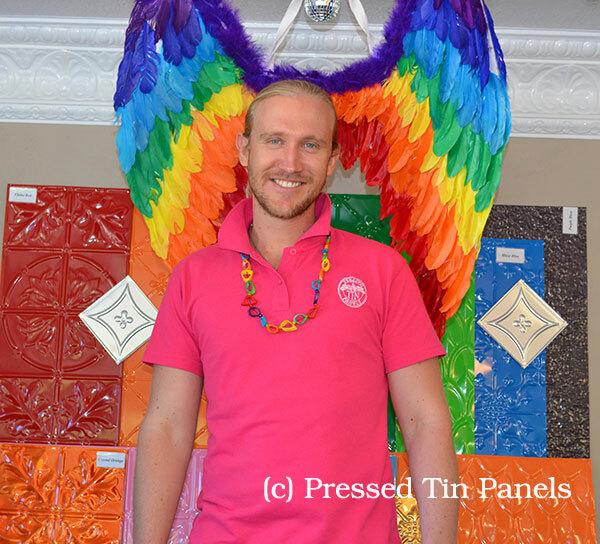 And this year we celebrated the 2015 Sydney Gay and Lesbian Mardi Gras! 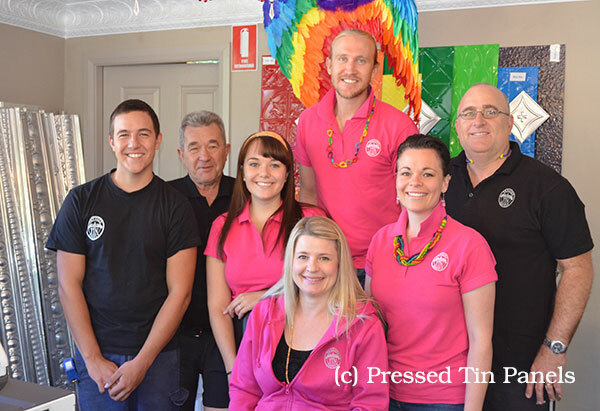 Left to right: JD, Gordy, Teagan, Brendan, Mardi, Mick & Amanda (seated). Unfortunately we’re minus our fearless leader Racquel and out the back blokes Pete G & Pete M for the photo but this is your PTP head office team in Bathurst…! Here is the fabulous and undisputed queen of the Pressed Tin office, the lovely Brendan! 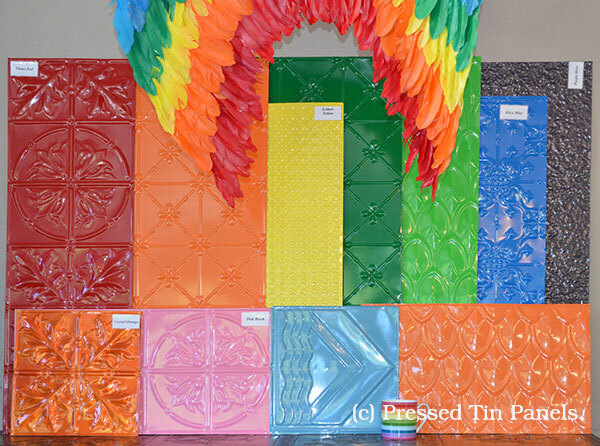 Our rainbow Pressed Tin display featuring the brand new Clover design! 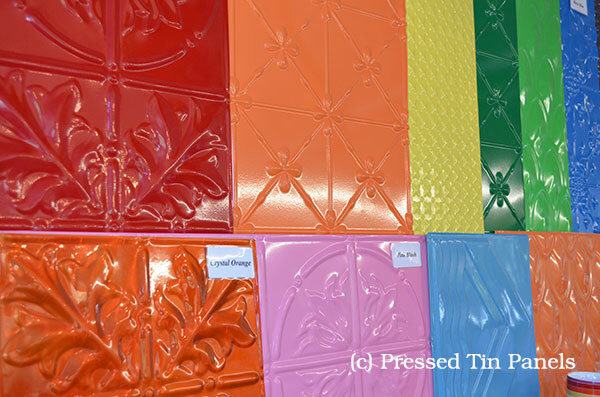 (Orange and Dark green)- All panels are powder coat colours.